"We have seen a substantial improvement in our supply chain operations which would not have been possible without your help and support. Our next step would be to discuss the next set of activities around our marketing efforts that require urgent action." "Excellent work guys! This month's DTC run is almost bang on target and we have already dispatched the order for fulfillment. Great work." "There has been a positive change in our active portfolios. The scorecards 15 day implementation window surely helps. We have started activating our campaigns on targets based on the scorecard results." Ranked among Top 10 Knowledge Process Outsourcing firms in India. Get daily updates on Twitter, Facebook and Linkedin on all the buzz around analytics and industry best practices! Market Equations offers Industry Analysis services to organizations globally contributing to fact based decision making. From Simple Data Mining solutions to Data Analysis out solutions help companies take enduring decision. We keep organizations in touch with the alerts and signals produced by their respective industries as it goes through its life cycle. We provide valuable information on how the industry is changing, growing, consolidating, keeping an eye on the competition, helping you understand how your products will perform and the need for new products and what is going to be the defining factor for your company for the next few years. It helps you in identifying and responding to major changes in your macro environment. Industry Analysis Solutions at Market Equations is a combination of Database services and Data Analysis services giving you customized solutions based on your need. Our Analysts delve deep into your Industry to give you information and insights that help you take the right decisions at the right time. Plan - The most important part of Research is planning. There is an objective and an end result which needs to be linked at each step to achieve the desired results. Timetable - With millions of available sources to choose from a researcher may get bombarded with a lot of information that may not be required. The plan needs to be finalized with the required timetable with milestones. Record and Validate - Every bit of information collected needs to be recorded, evaluated and validated. This is the most important step ensuring credibility of the data collected and ensures the research is on track. Integrate - All the information needs to be arranged and integrated to logically link topics together to ensure the research objective is met as per the plan document. Present - The data needs to be presented in a format that is visually appealing to the end reader. Fonts, Content placement, Reading styles, Colors etc need special attention and confirmation before submission. Our Solutions backed by our tested approach to transform Business Objectives to decisions have helped many organizations stay ahead. Write to us and find out more. The Right Search Strategy - words, sentences, arrangements, rearrangements, Boolean logic etc. The Choice of Search Engines - Google may provide more relevant sources than Yahoo or vice versa. Play with a Different Search Logic - Continuously explore and try new search logic to reach the required result. Paid Databases - Databases have a huge success ratio compared to freely available online sources. The accesses to databases such as Factiva, Hoovers, One source etc are highly recommended by expert desk researchers. Although subscriptions may add another cost element it is considered to be highly reliable and time saving compared to free sources. Monitor Progress - Continuously monitor search strategies and links to results and combine successes to achieve desired results. Founded in February, 2006 and among the first Research and Data Analytics outsourcing companies in India, Market Equations India combines advanced analytics expertise and decades of Consulting experience to add measurable and enduring value to organizations globally. 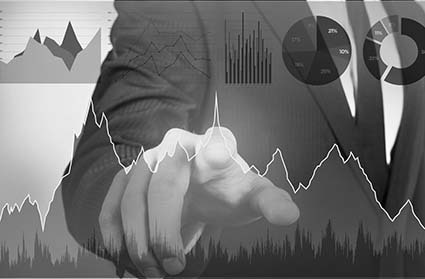 Market Equations India customers gain access to the combined capabilities of a result oriented Research and Data Analytics outsourcing team comprising of PhD's. Subject Matter Experts (SME's), Business and Financial Analysts, Data Scientists, Statisticians, Management Science and Technology professionals from premier educational institutions in India.